Global Tamil Forum (GTF) reiterates its call for the participation of international judges in the transitional justice processes following the scathing report on Sri Lankan judiciary by the UN Special Rapporteur. Issuing a statement today, the GTF said: “A report prepared by the former UN Special Rapporteur on the independence of judges and lawyers, Mónica Pinto, on her mission to Sri Lanka from April 29 to May 7 last year, tabled by the current Rapporteur, Diego García-Sayán at the 35th session of the UN Human Rights Council, was highly critical of the Sri Lankan justice system. Such scathing assessment vindicates the repeated calls by the Global Tamil Forum (GTF) on the need for the inclusion of international judges in Sri Lanka’s transitional justice processes. “Mr. García-Sayán said although the armed conflict was concluded in 2009, very deep wounds could still be seen in the judicial system. Quoting the report, he said there was a lack of equal representation of minority groups in the prosecution services and police force. ‘Problems related to language are very serious and have a very serious effect on justice and on the likelihood of obtaining a fair process if you belong to the Tamil community,’ he said. The President cannot even remove the Justice Minister who the whole country thinks is incompetent at best and corrupted to the core at worst. Two years have gone by after this govt came with a lot of promises not one case has been properly handled. It has not even dealt with the 5 children or the 15 aid workers killed in cold blood. These case compared to the end of war crimes are simpler and the Sri Lanka Judiciary is not capable of dealing with it. Law and order has gone to the dogs in our country. no one has any faith in our legal system. see how the BBS General Secretary Ven. Galagodaaththe Gnanasara Thera is being handled, See how all civil cases are being handled, See how land cases are handled. we have cases that take over a decade when they can and should be solved within a couple of years!!! burt the honest sergeant kandiah ask Kp your lover please. Why you didn’t call for International Judges when the Tamil armed groups were mercilessly gunned down each other group members; and assassinating political leaders and intellectuals far more than any other terrorist groups in the world? Tamils have eliminated their own leaders and intellectuals more than any other race in Asia. Where were those Tamil leaders, including Tamil diaspora leaders, the Western leaders, especially the United Nations when the Tamil armed groups were mercilessly gunned down each other group members; and assassinating political leaders and intellectuals far more than any other terrorist groups in the world? Tamil leaders do not act as they live among the 21st century humanity. Last forty years Tamils have avoided smart Tamils and gone backward. Generally speaking, Tamils can’t handle smart Tamils. This is why they have ended up in this sad status even though Tamils are five times in population in the world than Sinhalese. I have found that changing Tamil leaders’ useless ideology is like straightening a dog’s tail. thondamannay ————Brilliant, Thanks, Keep up your good work.———-You should support SJ in transforming this island into another autonomous region of peacefully rising China. I think that the Tamil leadership is hooked to international involvement. The case for a proper inquiry into war crimes and violation of human rights has been weakened by people appearing to act on a US-led agenda. Whether an inquiry with or without foreign judges in any capacity will materialize, there are many important issues at home which Tamil diaspora organizations and their local proxies have neglected. Victims of war need to be urgently compensated for their losses. There is pressing need for resettlement and rehabilitation. The government has neglected the worst victims of war. These are matters in which the Sinhala public could be readily persuaded. SJ————“The case for a proper inquiry into war crimes and violation of human rights has been weakened by people appearing to act on a US-led agenda.” ——————————————– OH PLEASE! Not again. ——————- Is there any other agenda than the American/Hindian led one in the Indian ocean? ——————————————————–Would you strongly recommend Tamil leadership to fit into Chinese agenda and become their 5th column? ————-Sinhala/Buddhists have been pushing this island to become another autonomous region of China. I suggest you join them and give support to the China lovers at any costs. Yes , there are many most important issues at home. Can you please advise Tamil diaspora organizations and their local proxies can solve the issues? 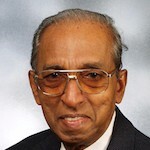 You know the main Tamil leadership in Sri Lanka who is now part and partial of the government. Can you explain why couldn’t they achieve significant improvement in the issues you mentioned as most important things? Can you explain little bit more on what matters Sinhalese public should be persuaded how and who should do that? Is it the Sinhala public to be pursuaded or is it the Sinhalese political leadership should be persuaded? It is the previous govt which appointed the LLRC and it is this govt sponsored the UNHRC resolution. Who is the real barrier to implement those recommendations both sponsored by the government,? Is it the political Sinhalese leadership or Tamil diaspora? All narrow nationalist leaders have failed the country. There is lack of will on the part of successive regimes to fulfill any obligation. The government did not need the blessings of the Tamil leaders to implement at least the LLRC recommendations, which were far short of a solution. The Sinhala nationalists (I include the UNP, SLFP & JVP) are only interested in fudging issues rather than addressing the grievances of the minorities. The Tamil nationalists are presenting the case for the Tamils in ways that the Sinhala public will find it hard to accept. Besides they have no plan or programme. I see no way out of the mess under the parliamentary electoral system, as their path to power comprises cheap populism and the fear of the’ other’. A dialogue at mass level is necessary to make any progress. No one in his right mind would ever believe that the Government will relent on its ‘no’ to the participation of International Judges on matters related to the war. Period. What is the objective of the GTF? -revenge for losing a war? – justify their cause of a separate state? When both parties are at fault in this war, Positive energies should Be directed at reconciliation and not serperation. Tamils did not loose the war. The war continues. The war is about justice, equal rights and finding a solution to the problems. The factors that lead to separation remains unchanged. Reconcilliation is a two pay path and there should be an alternative to separation. It is obvious that you are not living in this country and currently a citizen of another country! Please stay out of our affairs!! The Srilankan Justice system is a Joke! Just today the Fort Magistrate released the BBS chief Gnanasara on Bail and the arrest warrant cancelled! International judges is the need of the hour to hear War crimes of both sides ! Did international judges try Maharttaya? before Prabhakaran tortured and killed him. The author of this article ; Emmanuel was even prohibited from visiting India, as he was wanted by the interpol. I earnestly appeal to you to take over the Tamil Leadership and resolve all the outstanding and instanding issues faced by the Tamils in this country. I only know too well[?] that you have all the skills for such an exercise. Power flows from the Barrel of a gun-Mao Tse Tung. Hope you will remember the Innocent Sri Lankans shredded into piece by your God son in your death bed! I think the Gtf and All the Tamils must understand everyone knows their vested agenda of reviving the Tamil ltte and their seperative ideology and revenge for the demise of their coward leader. Always wanting to bring to international court and judges because they can manipulate and not respecting our local System, with capable judges who knows the truth of Tamil terrorism. “”Transitional Justice: GTF Reiterates Its Call For The Participation Of International Judges””- Tiger Terrorist Crusader singing the requiem- I hear the sound of distant drums- Theresa Mays Go back where you come from terrorist labour thugs. Why are you using “Rev”?? Which catholic parish are you serving? Your reiteration on foreign judges; will never happen in your lifetime! I think that it is time that you visited an opthalmologist or perhaps another specialist. To be frank , Sri Lankan judicial system neither has the expertise nor the honesty to carry out impartial inquiry to the War saga. Current inquiries in the case of various killing of politicians and Editors moves like “iceberg” , very slowly. This is because of Political and religious interference. Transitional justice is a must to hear both sides; i.e. the atrocities committed by the LTTE and the Armed forces. In my view, the Current Government lacks very badly, the Leadership and vision. Look at Late Lee Kwan Yew of Singapore and what did he not achieve. what is to inquire in a war saga? With the late great Lee in charge their would have been no tigers nor helping hambantota Rajapaksa low life thieves. No country will bring in foreign judges to investigate war crimes! It was clearly announced even by the Prime Minister of UK! So don’t expect our country to do it! both side may have committed war crimes while the soldiers are in Sri Lanka and the terrorist are in foreign countries. The guilty terrorist will not be accessible for punishment and therefore it will be a one sided affair! It’s best that the war chapter is closed and we move forward together instead of blaming each other! TNA and others try to put the whole blame on killing Sinhalese, Muslims, Tamils and even some foreigners on Pirahabaran and let others who supported and backed him and still living, escape. OK, if there should be War Crimes investigation, bring all others, starting from Adele Balasingham, Rudrakumaran, Emmanual, Surendiran et al and our own TNA comrades to face it. All these people who were behind Pirahabaran, funding and encouraging him to engage in massacres and destroy national assets are now trying to be saints and punish the armed forces for destroying the LTTE.